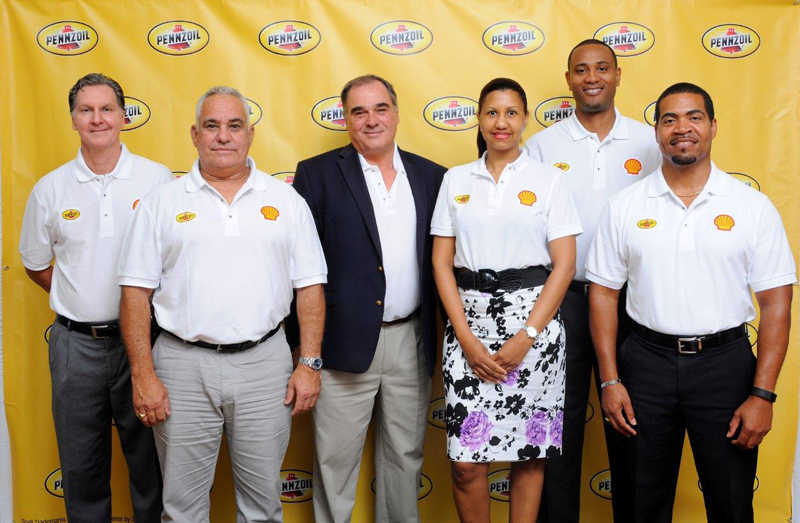 Sol introduced customers in Bermuda to an extensive line of high-quality Shell and Pennzoil lubricants, saying it further emphasizes the company’s commitment to deliver excellent value across its regional markets. 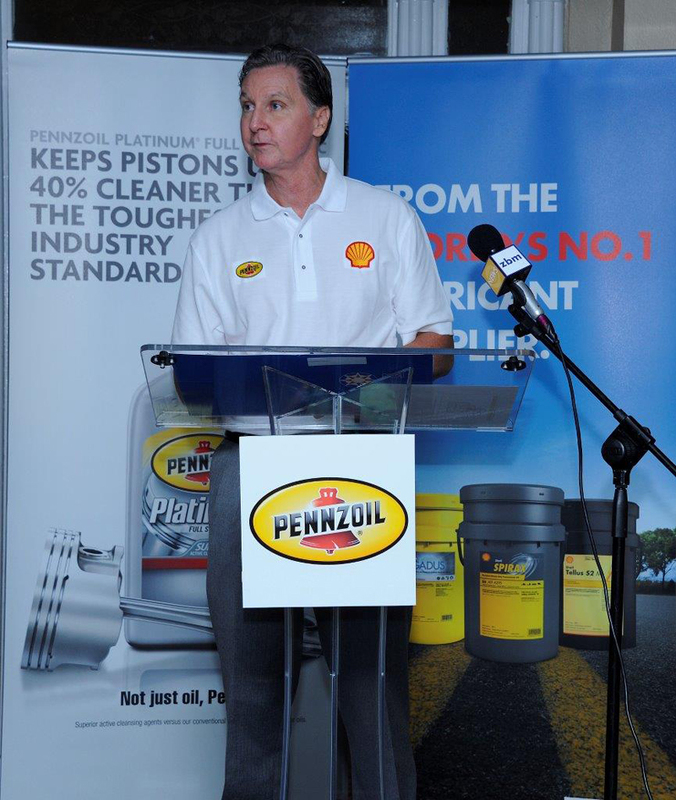 The company said, “Motorists in Bermuda now have access to latest and most advanced motor oils from Shell and Pennzoil designed to deliver an exciting range of key benefits which meet the needs of modern engines and transmissions including optimum engine performance, protection, and fuel efficiency. “The exciting range of Shell and Pennzoil lubricants was launched by Sol Petroleum Bermuda Ltd at the Royal Hamilton Amateur Dinghy Club, Pomander Road, Paget, including several of the much sought after high-performance products available from the world’s number one lubricants supplier. “Delighted Bermudan customers now have access to a versatile array of lubricants. Commercial customers seeking superior protection for transmission components, gears and chassis applications will have access to Shell’s Spirax synthetic gear oil; a range of Tellus hydraulic oils and Gadus greases respectively. “In the Pennzoil range customers will have a wide variety of choices including the Pennzoil HMV [High Mileage Vehicle], Long Life Gold [mineral and synthetic blend], and Platinum Synthetic products. Left to Right: Stephen Turner, Nicholas Ball, Jonathan Brewin, Karoline Smith, Loncey Earle & Elliott Douglas of Sol Petroleum. Addressing dealers, guests and business associates at the launch, General Manager of Sol Petroleum Bermuda Limited, Jonathan Brewin said the occasion was a fulfillment of a promise made to customers when Sol launched its Bermuda business in March, 2014. He added that Shell lubricants would certainly be welcomed by motorists in Bermuda. Mr Brewin said, “This launch today is a tangible demonstration of our commitment to customers, and we pledge to continue building on that promise by consistently delivering not only excellent products, but superior service as well. Drivers are reminded to use the viscosity grade recommended by the Original Equipment Manufacturer [OEM], bearing in mind that according to the manufacturer specifications and age, each engine has specific requirements for operation in optimal conditions. interesting SOL was ESSO which was a sub of EXXON MOBIL now selling SHELL products. what a small world it really is when Shell Bda was part of the Shell group selling Shell products and is now Rubis selling whose Lubs?